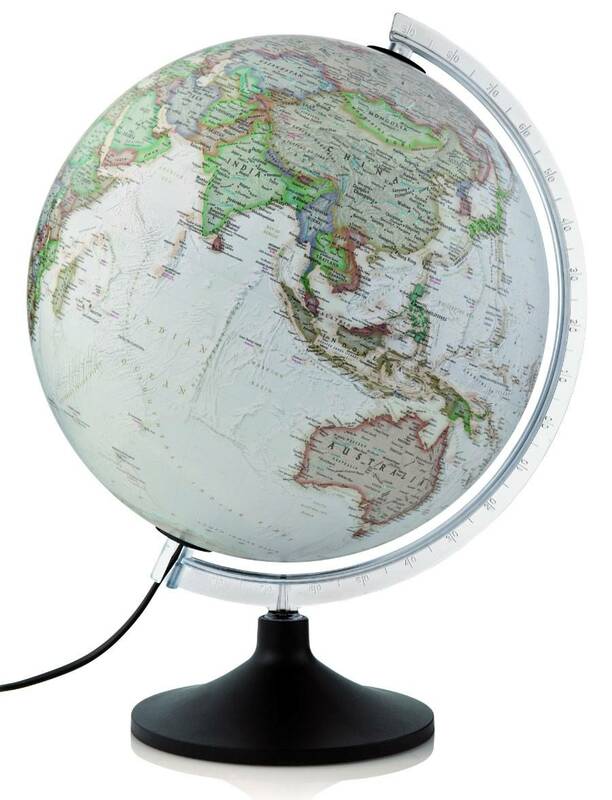 A Great Illuminated Globe by National Geographic.. The carbon features a transparent plastic meridian and a dark grey scratch resistant plastic base that houses a metal weight for added stability. The cartography shows clear political boundaries with over 2,000 place names.